Five Great Classics to Read Before You Write the SSAT! Reading the classics is a great form of SSAT prep. It allows you to brush up on vocabulary that you might find on the test. While reading, we recommend making a graphic organizer with three columns. In the first column, write the new vocabulary word you find, in the second column, write what you think the word means based on the context, and in the third column, write the correct definition. We also recommend reading the classics to become more familiar with this type of turn of the century writing. The SSAT often features this style in the fiction passage of the Reading Comprehension Section. First published in 1886, The Strange Case follows Gabriel John Utterson, a lawyer in London, England, as he tries to determine the true identity of Mr. Hyde. We love this book because it’s a quick read, beautifully written, and makes us contemplate the eternal and internal battle of good and evil. Alice’s Adventure’s in Wonderland was first published in 1865 and has, since its inception, been remade and recreated numerous times. Alice is a young girl who enters a strange new world through a rabbit hole and encounters peculiar and wild characters. We love this book because of its fun with language and imagination. Sherlock Holmes has become the detective we imagine when we hear the word ‘detective.’ His legacy began in 1887 in the novel A Study in Scarlet, and he’s appeared in various films, short stories, and plays since then. These are the perfect books to read if you love to challenge yourself by solving mysteries! 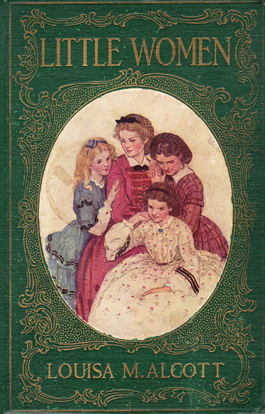 Little Women was first published in 1868 and features four sisters – Meg, Jo, Beth, and Amy. The novel details each sister’s coming of age as they live through the US Civil War. We love this book as it helps us to understand life as a girl in the first half of the 19th century. For all of those nonfiction lovers out there! The Story of My Life is an incredible autobiography written by Helen Keller in 1903. It details how Anne Sullivan helped Helen Keller, a woman born both blind and deaf, to learn how to express herself without traditional language. Keller was an amazingly motivated and determined person, and this autobiography will leave you inspired. Want more ideas on how to study for the SSATs? RRLS has a an SSAT workbook filled with helpful tips, and test-taking strategies. We also offer SSAT classes in Toronto, in group or one-on-one settings.